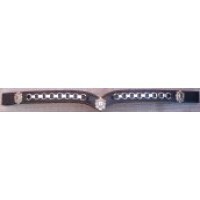 V shaped browband with four rows of diamontes with a centre piece of diamonte & aquamarine colou..
Great for competition, brass chain with shields. 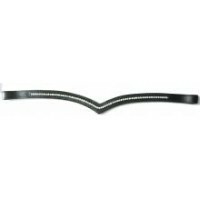 Black or Australian Nut Leather Available Siz..
Black leather browband with jewel detail. 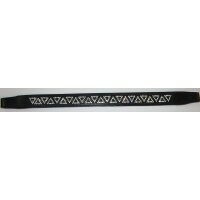 Available Sizes: Pony, Cob & Full..
Black leather 'V' shaped browband with diamontes. 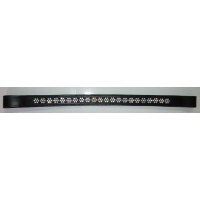 Available Sizes: Pony, Cob & Full..
Great for competition, bold chain work with shields. Black or Australian Nut Leather Available.. 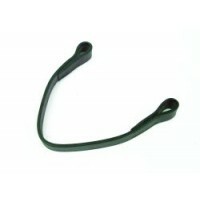 Perfect for ribbon work. Colours: Black or Brown Sizes: Pony, Cob, Full or WB .. 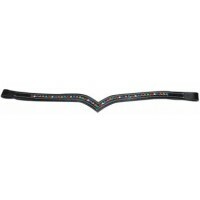 Stunning rainbow coloured jewels decorate this V leather browband. 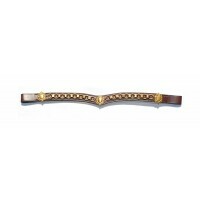 Available Sizes: Pony, Cob &..
Great for competition, bold chain work with silver look chain & shields. 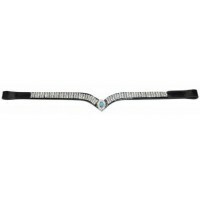 Black Leather Ava..
Straight black leather browband with Swarovski Crystal detail. 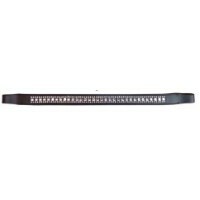 Available Sizes: Pony, Cob & Ful..
Black straight leather browband with Swarovski Crystal detail. Available Sizes: Pony, Cob & Ful..